The Lumentek 7 Watt A19-FIL Series is a revolutionary achievement in the quest to replace the inefficient incandescent light bulb. Lumentek’s 7 Watt LED Filament series bulb, unlike typical LED bulbs, features “On Board Chip Technology” which sets itself apart from the competition. We have effectively reduced the weight and are able to dissipate the heat over a larger surface area resulting in a highly efficient lightweight bulb that provides the same instant-on incandescent quality of light. This new technology along with our patented LED array pattern allows our bulb to illuminate a 360 degree field of view without the light structure patterns found in other filament style bulbs. Lumentek’s new LED design brings the light quality and functionality to a new level. 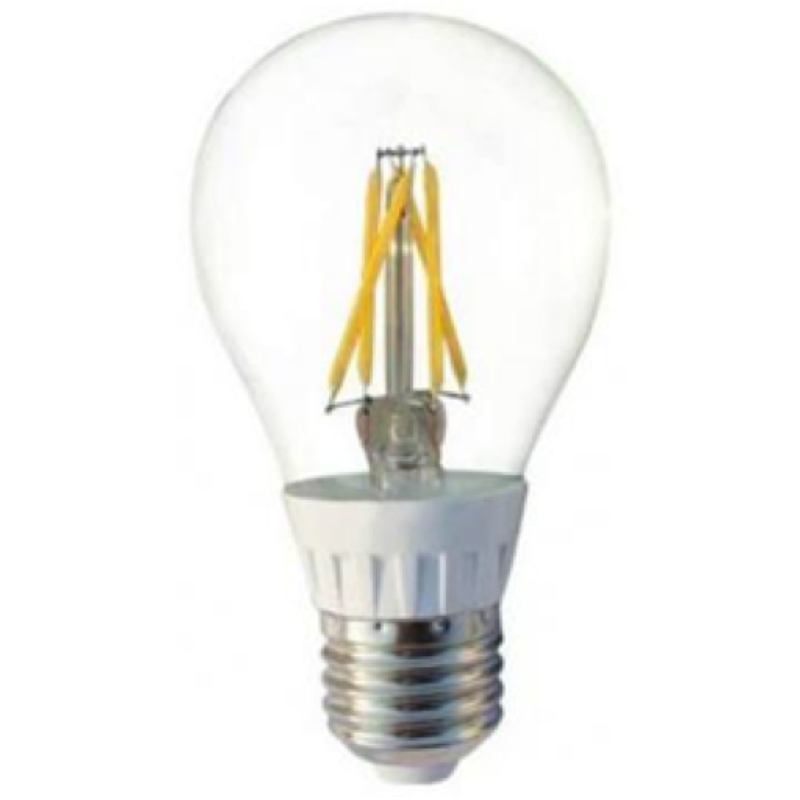 Our 7 watt LED Bulb generates 810 lumens which is the equivalent of a 60 watt incandescent. That’s roughly 90% less energy! Better yet, their rated life is 50,000 hours! So if you used it for 5 hours every day it will last for 25 years! The 7 watt version is non-dimmable. It is UL Listed with ENERGY STAR® pending (Spring 2015).